Don't flutter by. You'll love these summer inspired butterfly 9cy yellow gold stud earrings. They'll set off your boho, gypsy look perfectly. 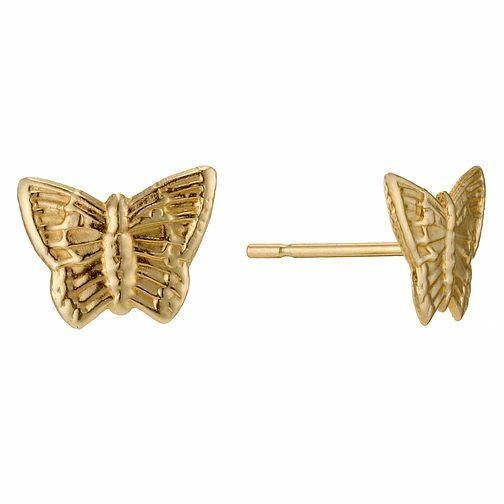 9ct Yellow Gold Butterfly Stud Earrings is rated 4.0 out of 5 by 1. Rated 4 out of 5 by Anonymous from Good service Ordered 9ct gold butterfly earrings online and arranged pick up from local store. All very efficient and arrived on time. Granddaughter loves the earrings. She is 7 and recently had ears pierced, great size for her.